Your special gift permits the ADS to undertake projects such as the upgrade of the ADS website and research projects that are otherwise beyond our means. 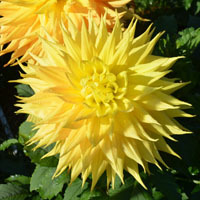 The American Dahlia Society is a 501(c)(3) non-profit organization. Gifts to the ADS are tax deductible. Gifts received by December 31 can be included in that year’s tax return.